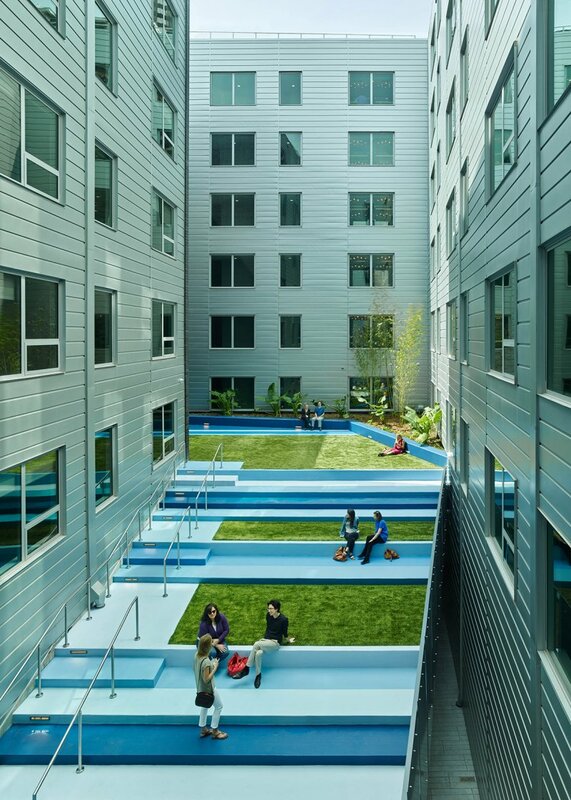 The Beacon—a 172,000 square foot, 7-story building containing 126 residential units and ground floor retail—provides a calming oasis from which to observe or escape the hustle of a thriving commercial corridor. 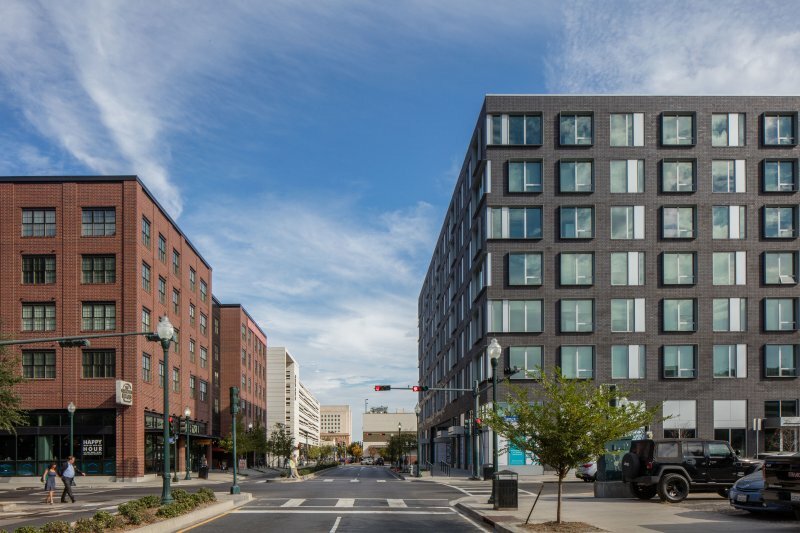 South Market District is a $200M, mixed-use, transit-oriented development in the heart of New Orleans’ Central Business District (CBD) and represents one of the most ambitious in the city’s history. The development will infuse the surrounding vicinity with new retail, dining and urban activity within a site that, until recently, was little more than surface parking. EskewDumezRipple designed several of the projects contained within, including The Beacon. 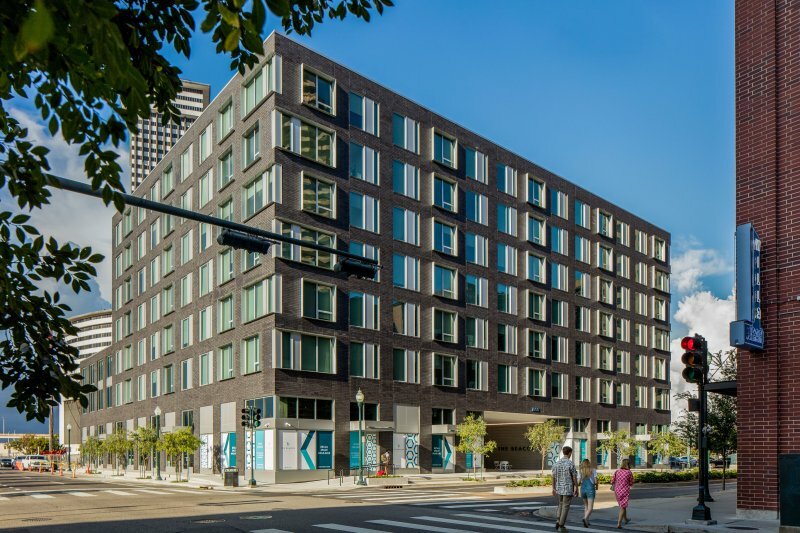 Offering contemporary, loft-inspired spacious one-and-two-bedroom floor plans with contemporary finishes, the Beacon is of its time and an appropriate addition to the city’s evolving urban fabric. 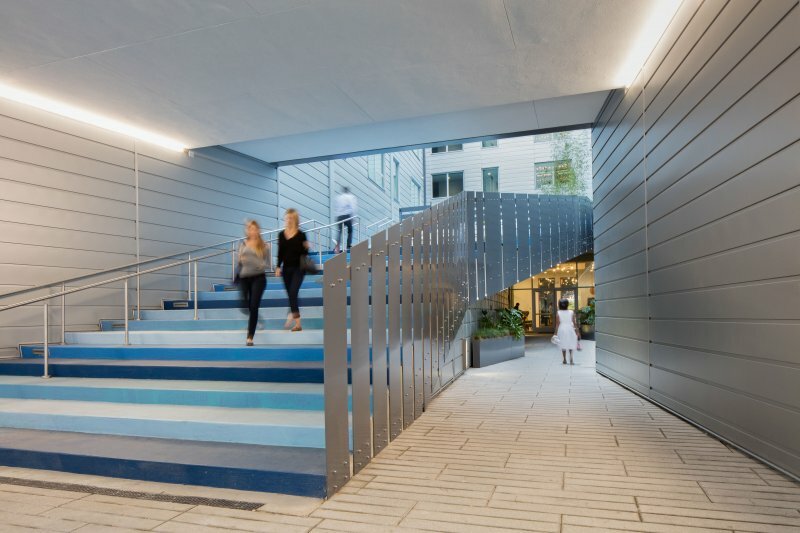 The Beacon is tightly wrapped around an elevated green space which opens directly onto Girod Street—a unique public space embedded within. 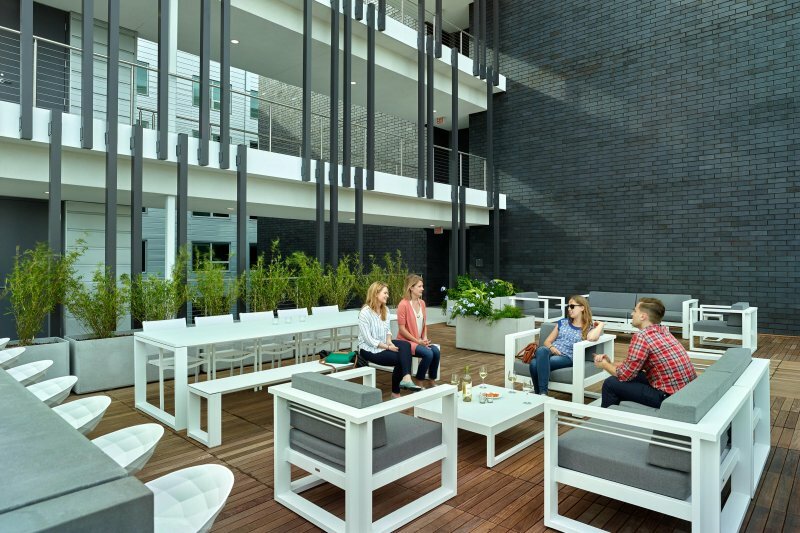 Residents of The Beacon also enjoy exclusive access to The Park, the first building of its kind in New Orleans, housing first-class retailers and providing five floors of car and bike parking, electric car charging stations, and both bicycle and car-sharing programs.